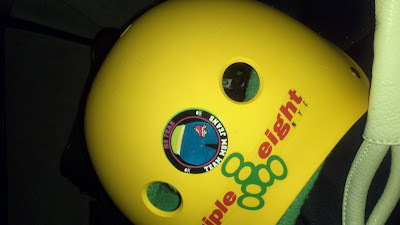 I was gifted my first derby helmet sticker yesterday. It says Team Mom Jeans and was passed out to all the soccer moms on the team on their way to their swagger wagons after practice by Evil Irene. Seriously? Is this not the best sport ever? *sigh* Roller. Derby. Swoon.